Few people stop to think about the hidden dangers lurking inside their mattresses. You might know some of the more common dangers, like how a sagging mattress can keep you from getting the sleep you need or how one that is too firm can leave you dealing with back and neck pain. What is inside your mattress, though, is even more insidious. The manufacturers of most traditional mattresses use certain chemicals that can be dangerous to your health. These chemicals have a connection to certain types of cancers, including those that impact the nose and lungs. You can learn more about these chemicals to find out why so many people today choose a natural mattress or a chemical free mattress topper. 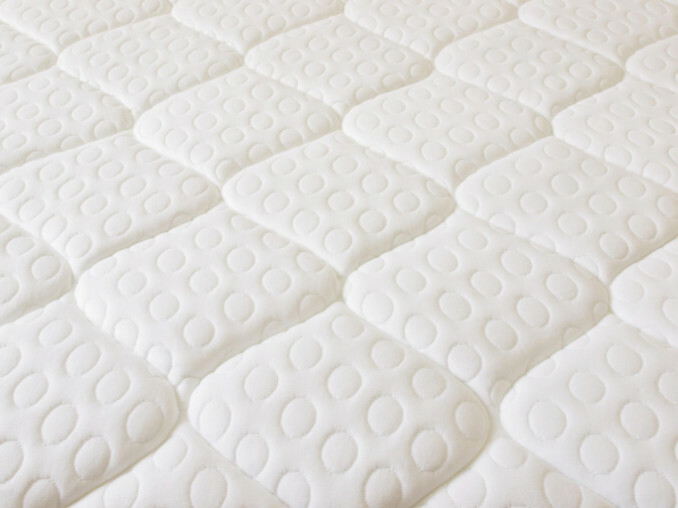 The polyurethane foam that manufacturers use in traditional mattresses today is the same type of foam that features petroleum and other forms of petrochemicals. These chemicals release compounds into the environment that you can inhale as you sleep. Those compounds can irritate the lining of your throat and make it harder for you to breathe, but many people find that those compounds cause skin irritations as well. If you ever woke with itchy skin before, your mattress might be the reason. Morticians use a variety of chemicals to embalm those who died. Embalming fluid typically contains formaldehyde, which some manufacturers use in traditional mattresses today. This is a common ingredient found in synthetic mattresses because it acts as an adhesive that keeps the mattress from falling apart. As your mattress ages, it can release the formaldehyde, which will irritate your nose, throat and eyes. Exposure to formaldehyde also increases your risk of developing cancer later. Pentabde was one of the more common compounds found in mattresses in the past because it acted as a fire or flame retardant. This chemical reduced the risk of mattresses catching on fire. Though mattress manufacturers stopped using this chemical in 2004 because of the link between it and health problems relating to the nervous system, liver and thyroid, companies still use similar chemicals and compounds. The Consumer Product Safety Commission now requires that all mattresses be fire-resistant. Mattresses must last at least 30 minutes when exposed to any type of open flame. The problem is that manufacturers still use fire retardant chemicals but no longer tell the public what chemicals they use. Even if you use natural bedding on your synthetic mattress, you are still not safe. Certain chemicals can slough off the bed and move through the bedding to reach your body. One of the potentially dangerous chemicals found in mattresses today is boric acid, which is the same type of acid that exterminators use to kill roaches. When you have your home treated for roaches, you will need to leave for a certain number of hours or even for a few days because you need to get away from those chemicals. Many people do not realize that their mattresses expose them to similar chemicals each night when they sleep. Identifying whether your mattress contains any of these chemicals is difficult. When you first bring home a new bed, you might notice a chemical odor emanating from the bed. Most manufacturers tell you that this smell will go away after a few days and that it is just the smell of a new mattress. It is the smell of the chemicals used to make the bed. That odor does not actually go away though. Your nose simply adjusts to the scent. Even mattresses as old as a decade can still produce some of these chemicals. The only true way to protect yourself and your environment from these chemicals is with a chemical free mattress or mattress topper. These mattresses do not contain any chemicals or harmful toxins that are potentially dangerous to your health. A natural mattress features organic compounds that provide the comfort that you need. You can still pick a harder mattress that lets you sleep on your side or a softer mattress for sleeping on your back. Before climbing into bed, you will want to use some natural bedding that features the same materials and ingredients. The combination of a new mattress and new bedding will help you sleep comfortably without putting your health at risk.